Last week the web was rocked by the debut of a new Facebook Phone, HTC First. But what about an Indian counterpart, one that designer Suman Chatterjee imagined? 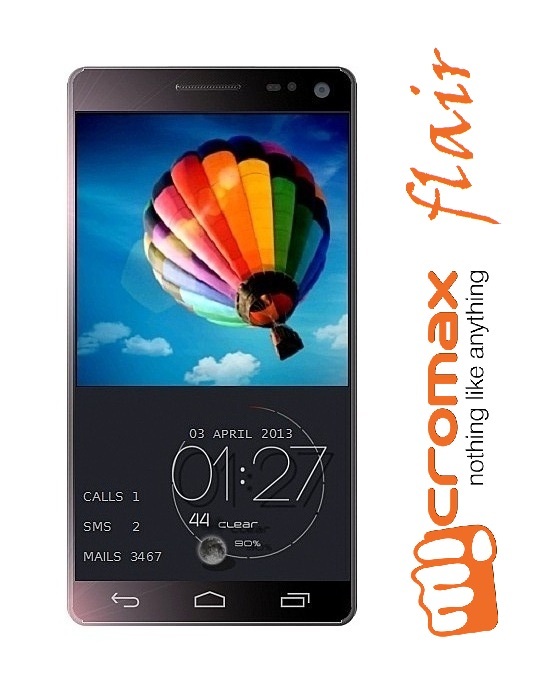 I’m talking about the Micromax Flair, a smartphone from India with Facebook Home on board. The device runs Android 4.2.2 and relies on a 1.4 GHz dual core Qualcomm Snapdragon 400 processor, as well as 1 GB of RAM and 16/32 GB of storage. There’s also a 4.9 inch display on board with HD resolution and a 2600 mAh battery to power the Facebook Phone. Micromax Flair comes in black, white or garnet red and it packs an impressive 13 megapixel camera at the back, with LED flash and 5x zoom. It also has a 2 megapixel front camera, Bluetooth 4.0, WiFi and microUSB. The design is very interesting and for some reason it makes me think of an LG Optimus series device, maybe the LG Optimus 2X. The UI is also a bit rudimentary… Would this model be a success in India?